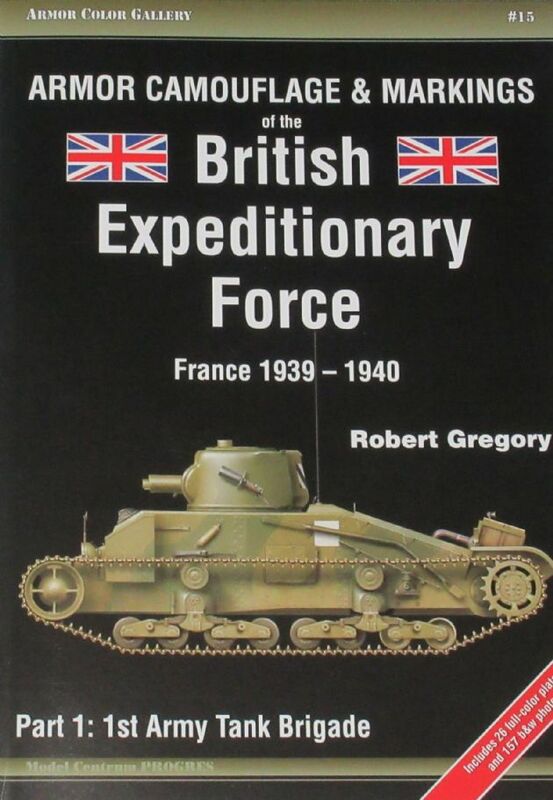 Published as the first part of a series on the Armor Camouflage & Markings of the British Expeditionary Force, this book is an authoritative guide to the armor deployed by the 1st Army Tank Brigade over the course of the 1940 campaign in France and Flanders. The book features a number of rare and unpublished photographs, all with detailed captions, which include the Mk. VIB Light Tanks as well as A11 and A12 Infantry Tanks. In total the book has around 150 black and white photographs and 26 full-color plates.